Good art – especially independent art – doesn’t just happen. Host Garret Godfrey explores some of the best ways we all can be more supportive of faith-based independent music, including interviews and the latest crowdfunding campaigns. The art of overpaying. Garret continues his conversation with a panel of guests to discuss the artist experience at music festivals, and the support that can be shown through tipping extra at the merchandise table. And a bunch of active crowdfunding campaigns too. Should I go to a Christian music festival? Garret talks to a panel of festival experts to get their insights. Plus we’ll give you some current crowdfunding campaigns that deserve your attention. Why should I pre-order music? Does it do any good? And what should I pre-order? Plus a full overview of some key crowdfunding campaigns happening right now. Current campaigns, a look back at 2018, and some thoughts about the current state of music. Can you really make a challenge with just two words? Plus don’t miss an extended interview with talented singer-songwriter-painter Chris Taylor. Learn how to stick it to the man and stay in touch with the artists you love. Plus learn about a bunch of active campaigns from Christian artists. How does this month’s good patron challenge tie in with Delirious & Huey Lewis? Plus get the details on new campaigns from Katie Heckel, Charlie Peacock, Eric Peters, Rick Elias, Andy Gullahorn, & more. What tweet inspired this month’s Good Patron Challenge? Plus check out current crowdfunding campaigns – including the spotlight campaign by Thembi Joy. We are back! We’ve got a new “good patron challenge,” spotlight campaign for Brettan Cox, and other faith-based crowdfunding campaigns for artists like JJ Heller, Scott Mulvahill, Moda Spira, L.S.U., & more. Our spotlight campaign is a new album from the wonderful Jess Ray. Plus take our Good Patron Challenge, and keep up on current crowdfunding campaigns for Wild Harbors, VOL, Alter Boys, & more. Find out what Andrew Osenga, John J Thompson, and Kevin Max said that made Garret pick THIS as the Good Patron Challenge this episode. We share ways to show support without spending money and ways to grab some good free music too. Plus current crowdfunding campaigns by Rick Lee James, Andrew Osenga, Jeremy Casella, Susan Ashton, & more. We cover current crowdfunding campaigns, including spotlight artist Matt Searles. 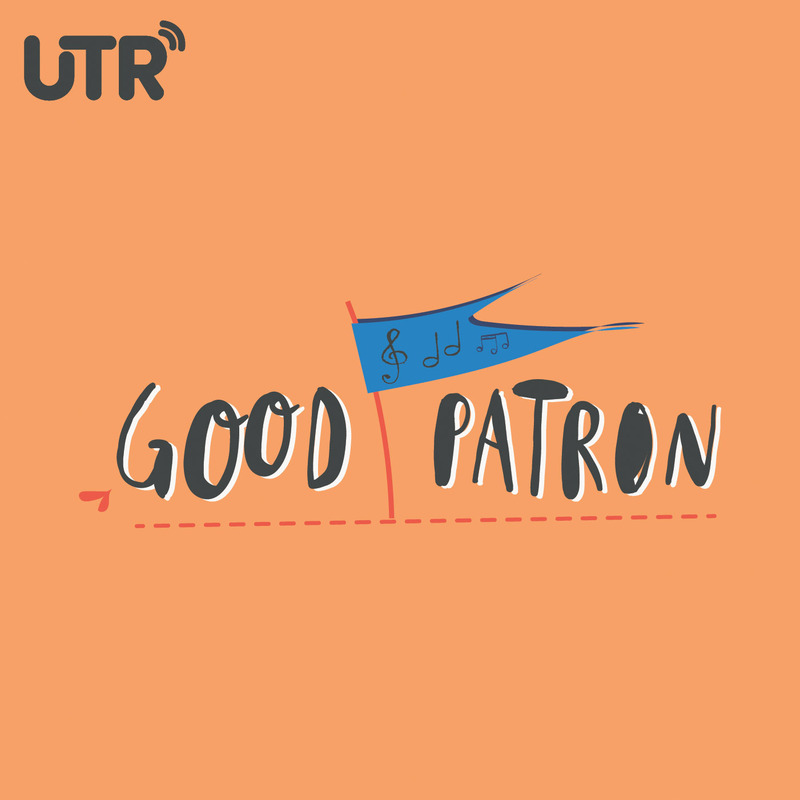 Plus we talk with UTR Media founder Dave Trout about the Buildathon campaign and a crowdfunding year-in-review. Our spotlight campaign is for Grammy Award-winner Ashley Cleveland. Take this month’s “Good Patron challenge.” And hear samples from a variety of current crowdfunding campaigns. We interview Molly Neuman, a director at Kickstarter, about how their platform helps to support indie music projects. Plus the latest crowdfunding campaigns by Adam Whipple, Sara Groves, Hannah Miller, & more. It’s the debut episode of Good Patron! We’ll be exploring ways to be supportive of faith-based independent music. Our spotlight campaign is from Matthew Smith. Plus we interview singer-songwriter Anthony Quails.